Another 12 wins & 35 nominations. | A 17 year old schoolgirl's opinion! Australia was actually much better than I expected, after hearing some rather uncharitable things about it. Yes it is flawed, but you can't help think there are a lot of good things about it. Visually, Australia is absolutely striking, and captured beautifully on camera by Mandy Walker, the first five minutes especially. The music score is absolutely beautiful, and is careful not to overshadow the most dramatic of scenes, particularly the scenes with the cattle. I would also like to say, that despite talk of trouble between Nicole Kidman and Hugh Jackman, both stars turn in very believable performances, and David Wenham is good as Neil Fletcher; though I had a problem with the way he died, I will confess I was expecting him seeing as he had a spear in his body to die quicker than he did. But Brandon Walters is simply brilliant as Nullah. At first, I was put off by the length, but the length wasn't actually the problem, as it is supposed to be an epic. One flaw I had with the movie, was that there is a fair amount going on, like the love affair, the moving of the cattle, even a couple of murders; the problem was I never quite understood what the film's main focus was supposed to be, though in the film's defence some scenes are very well developed, and raise a couple of tearjerkers. When I first heard the song Somewhere Over the Rainbow,this is in no way a criticism, but at first, I wasn't sure what the significance of the song was, then as the film progressed, it was like a communication of hope. I will say that my main problem with the film was the ending. The scene itself was beautifully shot and quite moving, but it was the music that bothered me. As much as I like Nimrod by Elgar; it is a beautiful piece that reduces me to tears, however the film is about Australia, so I wasn't sure why they decided to use a piece of music that is actually British, so was rather irrelevant to the film's context. Despite the flaws, I did like Australia, enjoyed is probably inappropriate for the film's genre, and me, my mum and dad were left streamy-eyed at the end of the film. 8/10 Bethany Cox. Brian Brown starred in "A Town like Alice," which is about an English woman who meets an Australian soldier during WWII and returns to Australia after the war. 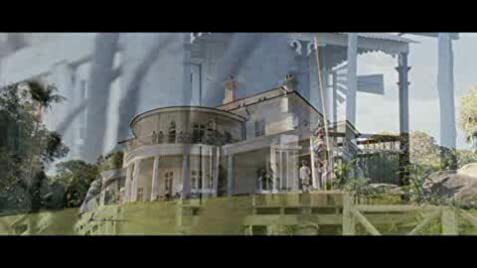 The Union Flag is flown upside down in one scene.